Ab Initio methods provided by MPQC. Semi-Empirical methods provided by MOPAC7. all-atom MM methods (Tripos 5.2 + others). coarse-grained MM for protein molecules  (work in progress). optional distance constraints can be applied in MM calculations. Many file import/export features provided by OpenBabel. add and remove atoms and bonds. add or remove Hydrogens automatically. Energy vs. 2 torsions plot. "Project View" for viewing/editing the model and related information. Text window for text-formatted output and logging, and a text command parser/interpreter. 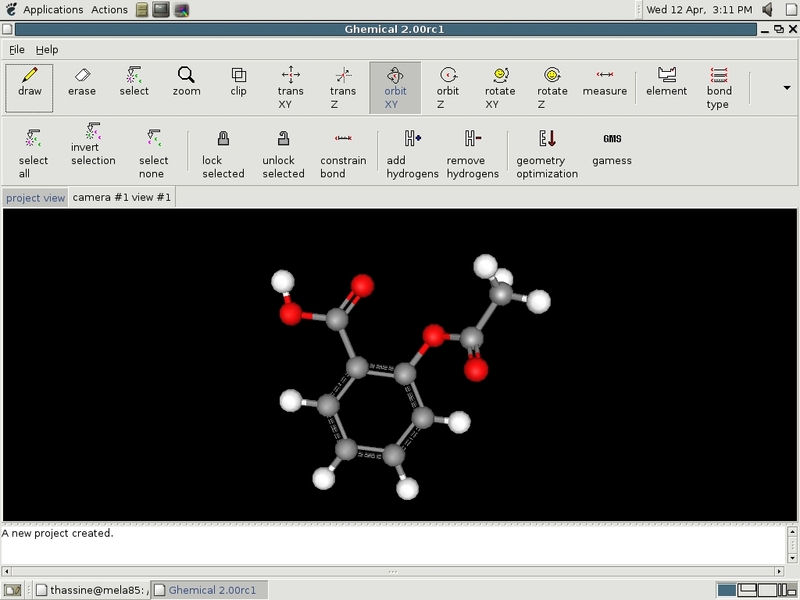 The graphical user interface, and an example molecule (acetylsalicylic acid). Different views and graphics rendering options demonstrated. 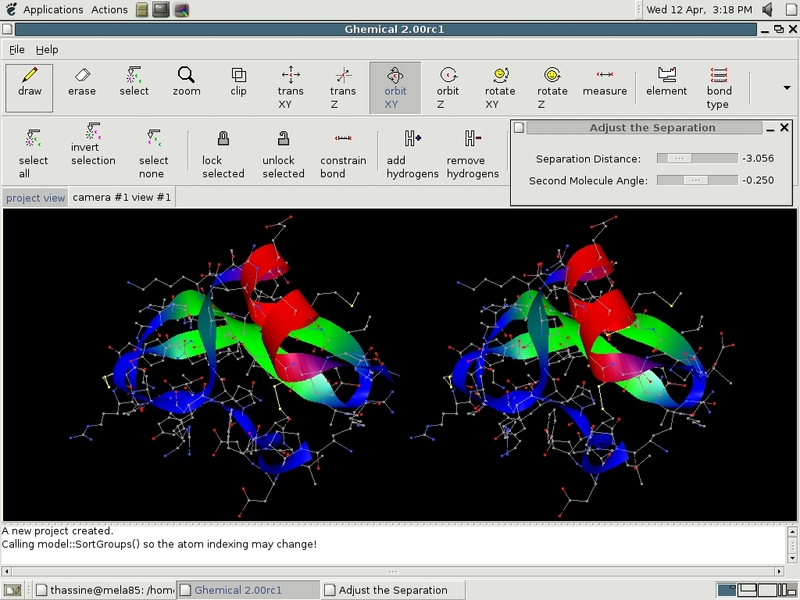 Protein ribbon models and a stereo display feature demonstrated. 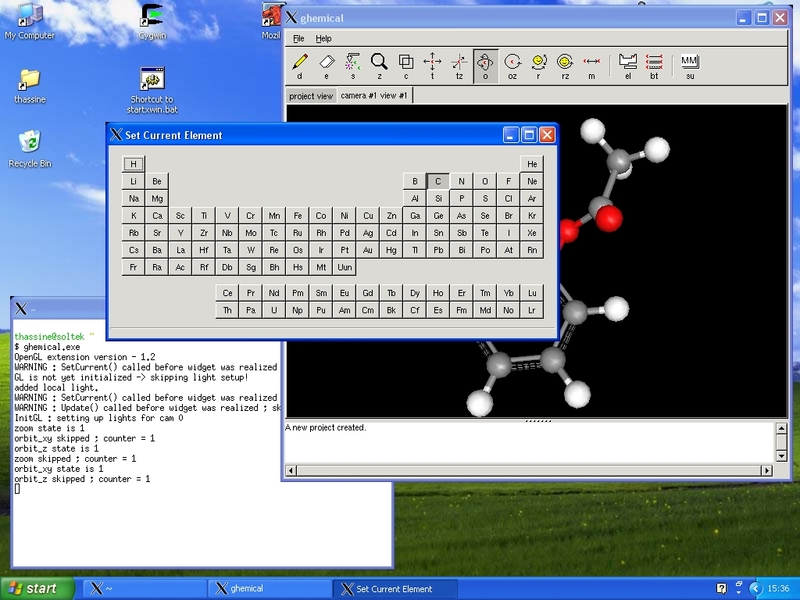 Since the GTK+ environment can be ported to several operating systems, the program is portable as well (the screenshot is from a Windows/Cygwin system). 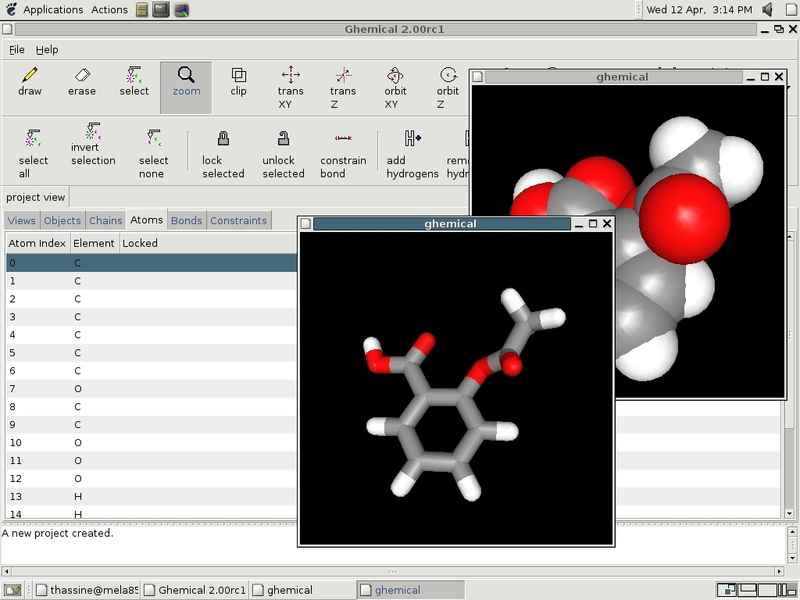 Ghemical source code is developed at a CVS server hosted by the bioinformatics.org site. Discussions about ghemical development can be followed at ghemical-devel mailing list. The ghemical-gms page at the University of Iowa. The WinLibGhemical page at the Brown University ; this is libghemical ported to a Windows DLL. The ghemical project page at bioinformatics.org and the MOPAC7 project page at sourceforge. MPQC and OpenBabel project pages.